With the recent release of this year’s sakura forecast, we’re excited about the cherry blossoms returning to Japan. But you know what? We’re equally excited about the return of one of the most beautiful desserts the country has ever produced. Akita Prefecture confectioner Eitaro started making sweets in 1883, when Japan was still ruled a shogun, and the company continues to imbue its creations with deeply traditional cultural connections. The country’s favorite flower is the star ingredient of its Sakura Jelly, which just this month has returned from hiatus and is being offered for sale again. Though Akita is located in Japan’s northeastern Tohoku region, Eitaro gets its sakura petals from Kanagawa Prefecture, Tokyo’s direct neighbor to the south. 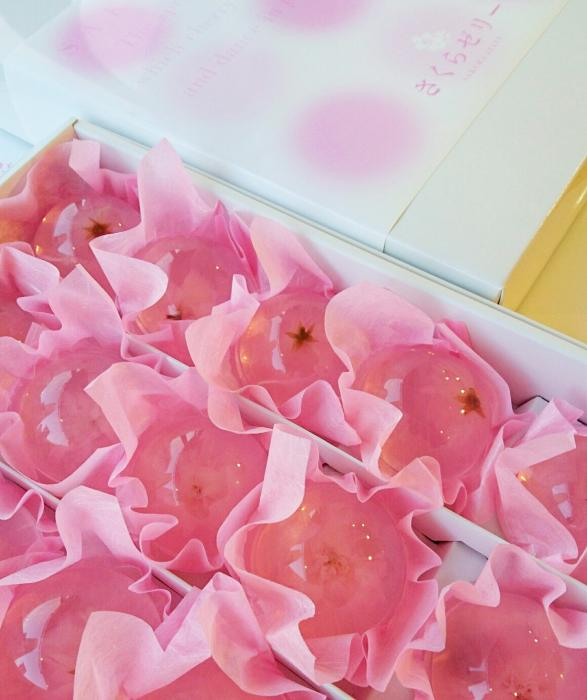 Only blossoms that have naturally opened are selected, which are then treated with salt and seasoned with honey as they’re added to half-sphere of gelatin flavored with a hint of sakura liqueur. 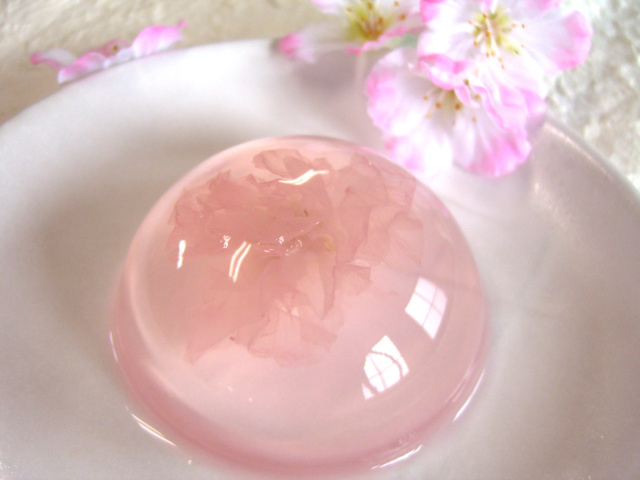 The result resembles the starry sky gelatin and mizu shigen mochi water cake we tried before, but with an air of springtime sweetness from its delicate pink color and the way it seems to have perfectly frozen in time the moment when the cherry blossom fully opens itself for the world to see. ▼ Large-quantity boxes keep the sakura motif going with individual wrappings that further bring to mind the flowers’ petals. But with sakura virtually synonymous with spring in Japan, why is Eitaro is choosing to release the Sakura Jelly in January? The reason lies in the product’s full name: Sakura Saku Sakura Jelly. While sakura saku literally translates as “cherry blossoms bloom,” the phrase is also used as a metaphor for auspicious or heartfelt dreams coming true. With students across Japan getting ready to take their entrance exams in the coming weeks, Eitaro recommends giving Sakura Gelatins as a present to a young test-taker, as a combination treat and good-luck charm (apparently the sakura liqueur quantity is small enough that the desserts aren’t so alcoholic as to be for adults only). If a trip all the way up to Akita to buy some doesn’t fit into your schedule, fear not. Eitaro is also taking orders for the beautiful desserts through its online shop here, with individual pieces priced at a mere 300 yen, and since the Sakura Jelly will keep for 90 days at room temperature, travelers can even buy them as souvenirs so that they can make the cherry blossoms bloom in their mouths once they’re back home. "in 1883, when Japan was still ruled a shogun"